Just a reminder that I’ll be a Rose City Comic con, Portland OR. September 7-9. I’ll have all the usual stuff -Drinker’s Hell games, Bohemian Nights illustrations, and Belligerence and Deflectors comics including the latest issue -#3 Hot off the presses. Come on by. I’d love to see you. 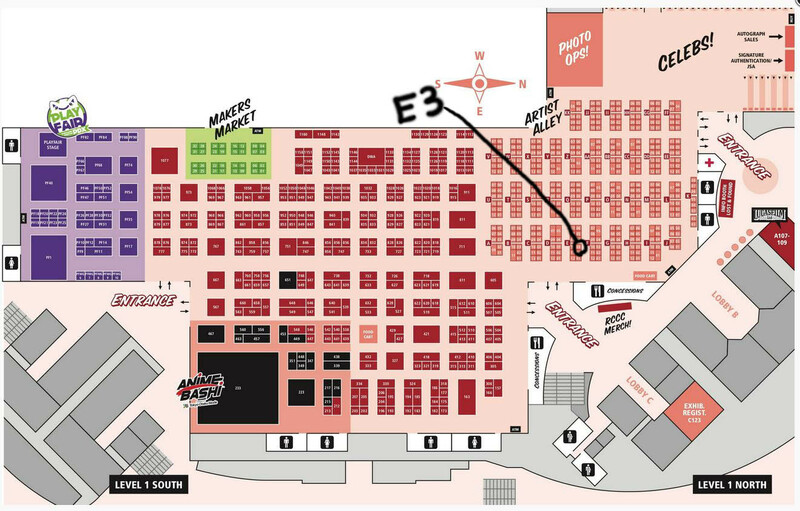 Artist Alley, table E-3 -Right by the entrance. Wow, knee jerk reaction much, Stephanie? She must have hooked up with some pretty lame dudes. Besides, where does she get off complaining about him having fun with his friends when she forcefully rejected going with him? Hopefully she’ll clue into the fact that Emrys is not just a “normal” guy and show a little more respect. Yup. No one ever said Stephanie is very…logical. Oh no, what horrible timing for Mrs. McKrakkin! Oh well, she had to find out about it sooner or later.